Yes, it is true. At one point in time, Universal Studios Florida filmed a lot of productions on site. They still utilize their on site soundstages for occasional productions today, but not to the numbers they did in the past. Soundstages are obviously common place in the film, and television industry. It offers an environment that you can control. And they are generally huge. This is why when a house is constructed on a soundstage, HHN fans get all giddy. There is just simply more room to work with, and you can do more things to ensure a topnotch experience. Often, soundstages will have two houses inside, which is where you get the A & B when looking at house locations. Technically a Soundstage, but also sometimes referred to as "Building 44", or the "Herc and Xena building". The building was not clustered together with the majority of the soundstages located on Universal property. Soundstage 44 once housed the Murder She Wrote show, and the Hercules and Xena show. The building sat vacant for many years after the Hercules and Xena show closed back in 2000. The building was recently demolished and rebuilt as Transformers The Ride 3D. 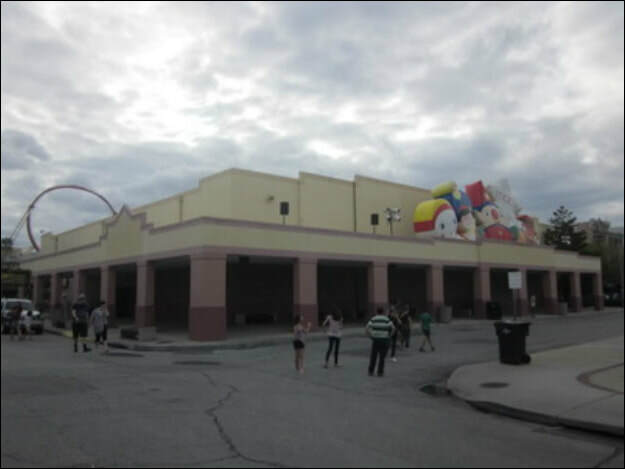 In 2012, a house for HHN was being built in soundstage 44 to compensate for the loss of Jaws and its queue. The house was not completed and was quickly abandoned with very little notice before the building came down. 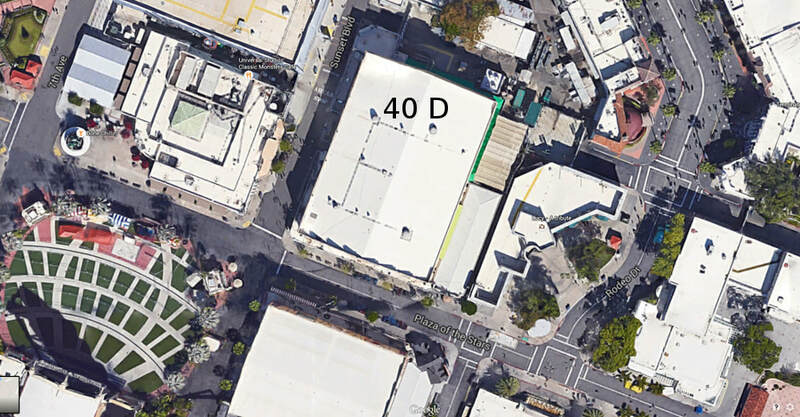 Soundstage 40D, is actually located in the Shrek 4-D building. It is a spare theater, located in the back of the building. 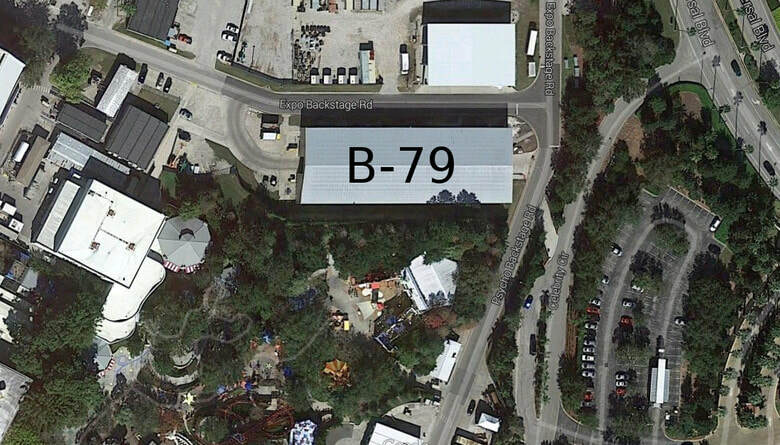 B-79 is more commonly referred to as "The Parade Building". 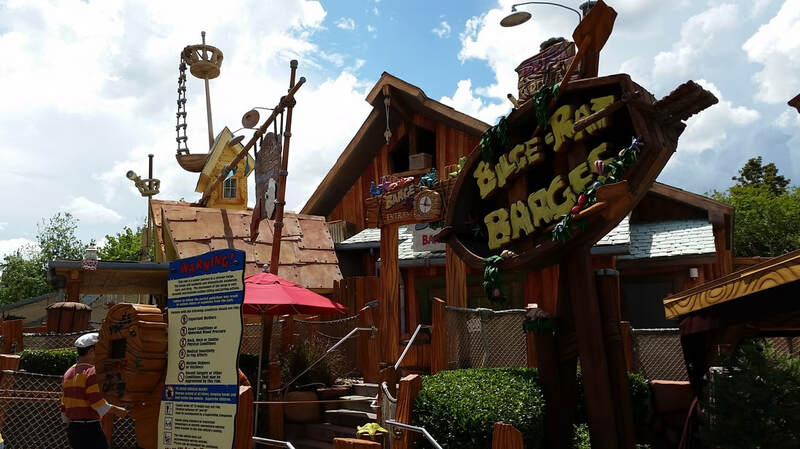 It is the large corrugated steel building, located behind the Curious George play area in Kid Zone. The structure was built back in 2008 as a warehouse, but has since been used as the housing for Universal's Superstar Parade floats. B108S, is the "official" name of what is at this moment referred to as, "the new parade building". It was built not too long ago. This parade building is significantly larger than the old. 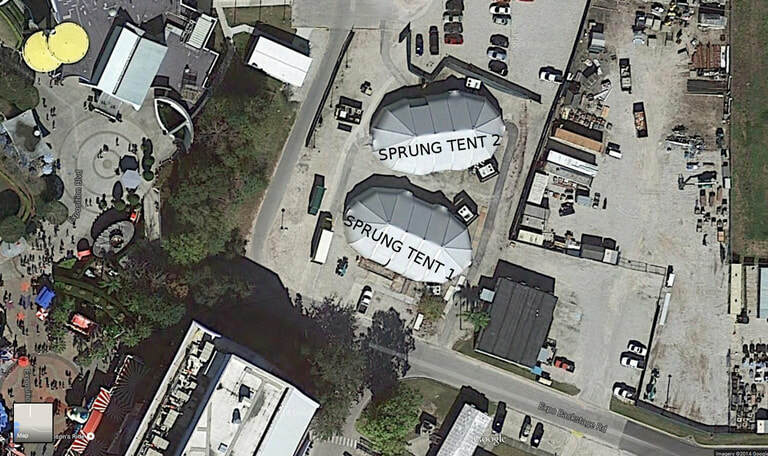 ​The "Sprung Tents" were erected back in 2006, with their sole purpose to be used for Halloween Horror Nights. Both structures are climate controlled, and are even hurricane proof. The "sprung" in their name, actually comes from the company that built the structures. 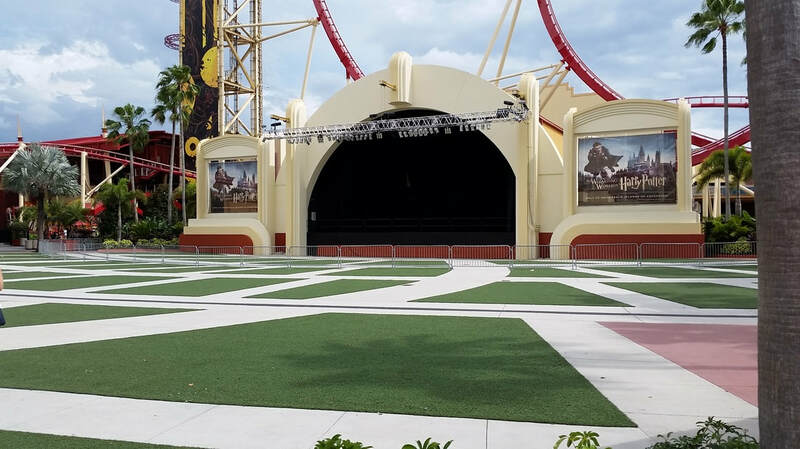 ​A location first used for HHN XXVI, it is similar to the types of tents used at HHN Hollywood. Also referred to as "tent 3", although this is not a Sprung Tent. It is a more traditional tent structure, which are commonly used at large events like weddings. Once upon a time called the Earthquake Queue, this location has been used for quite some time. Generally the house is constructed in the "extended" area of Disaster's Queue. It is the house you usually enter in behind the Beetlejuice theater. 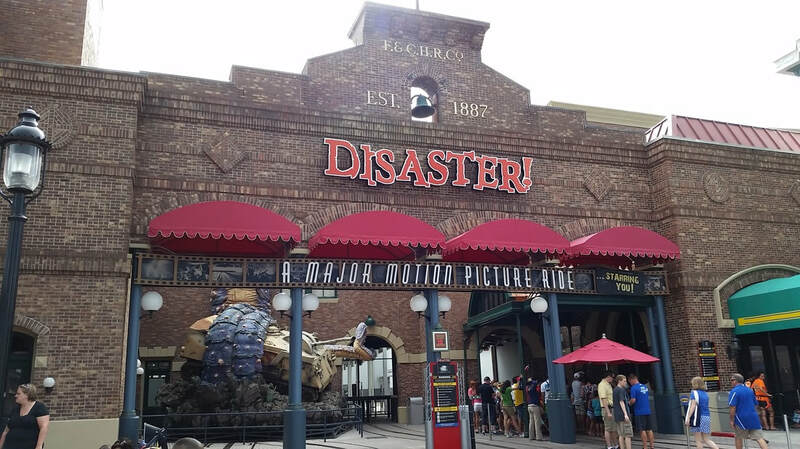 In late 2015 and early 2016, both the Beetlejuice theater, and Disaster!, were demolished to make way for Fast & the Furious Supercharged. Nazarman's is part of the New York section of the Studios. It is the name of a facade of one of the stores there. 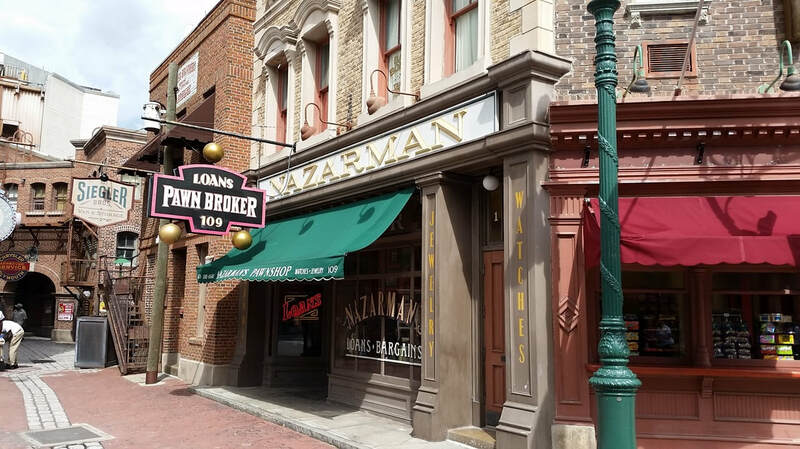 The houses were essentially constructed on the inside of the New York facades in the area of Nazarman's. There were one or two houses that went outside during a few scenes as well. The first house ever for HHN was used in Jaws' Queue. 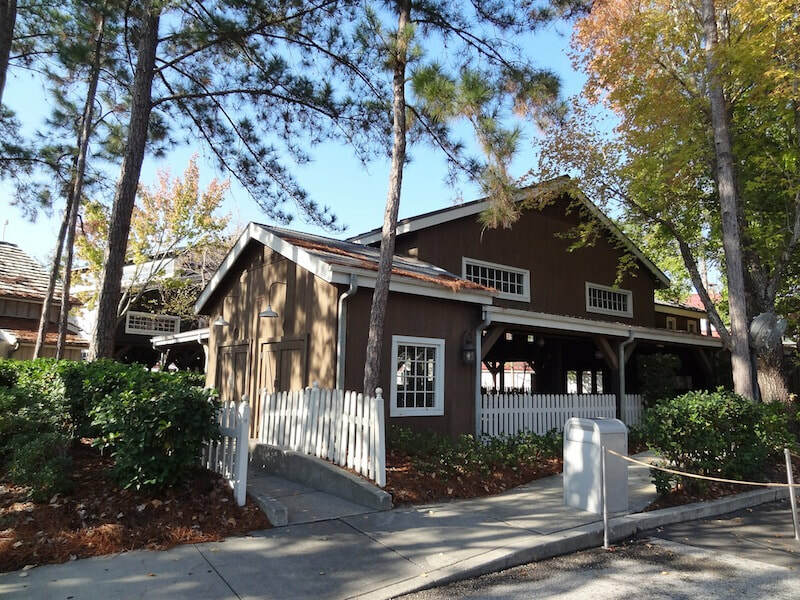 At the time, Jaws was not operational and it made for a great spot to put a House for Fright Nights. The Jaws Queue would be used a few times for houses at HHN, until the attraction was demolished in 2012 to make way for The Wizarding World of Harry Potter-Diagon Alley. 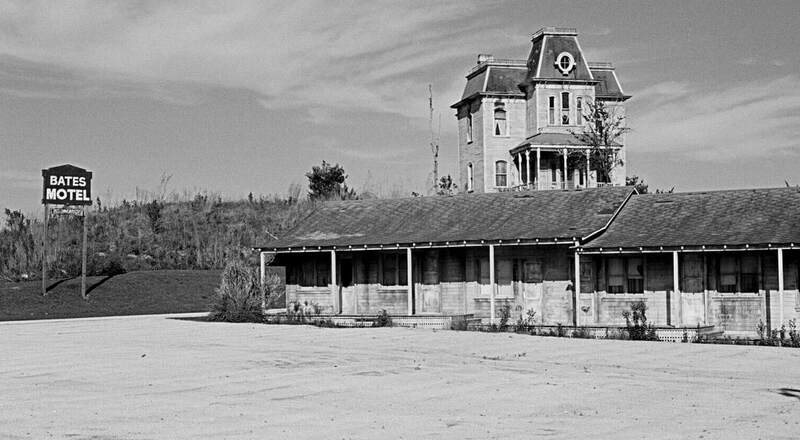 Yes, many moons ago, Universal Studios Florida had a full replica of Alfred Hitchcock's Bates Motel. Complete with its own Bates house. The attraction was in a way similar to what currently still goes on during the Backlot Tour at Universal Studios Hollywood. The Bone Yard was located where the Universal Music Plaza is now. The area use to be the home of old movie props from various films, and other productions. In fact, The Bone Yard is a term studios use as a place somewhere on the studio lot, where they would keep various props from productions long gone. 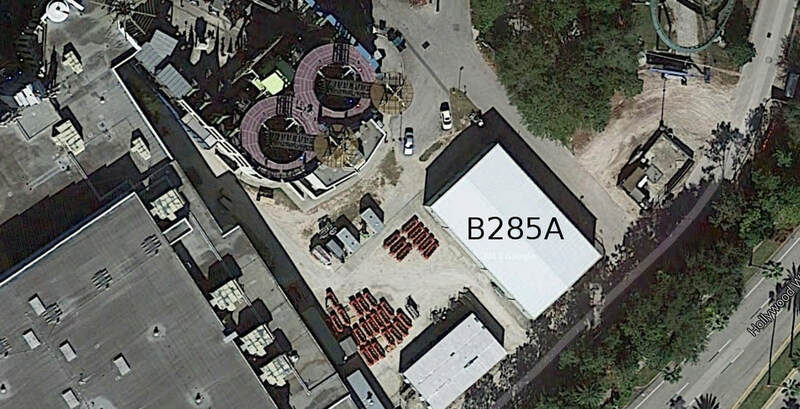 Located behind Doctor Doom's Fearfall, B285A is more commonly referred to as the Carnage Warehouse. The building was constructed specifically for the house Maximum Carnage, hence its nickname. Portions of this popular water ride's queue was transformed into houses. HHN at IOA posed some interesting problems while having the event there. One issue is space to put houses. 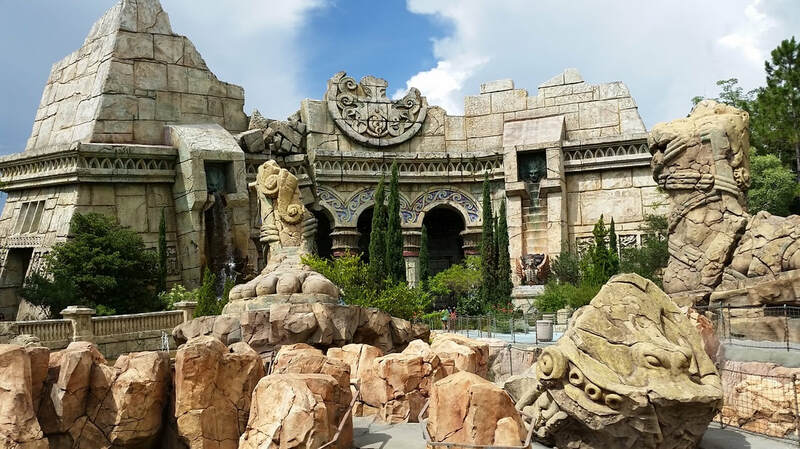 Often, attractions needed to be closed down to accommodate houses, and even still, locations can prove to difficult. The houses in the Jurassic Park Discovery Center, would be on the bottom level of the building and had to work around the giant staircase. 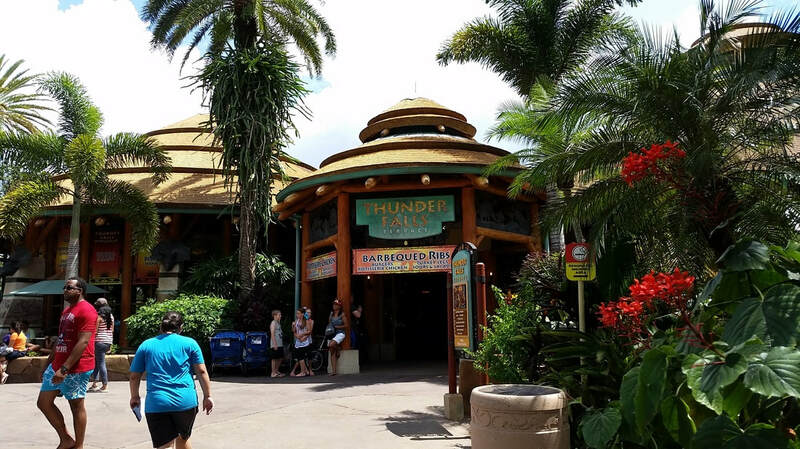 Thunder Falls is a quick service restaurant in Jurassic Park. Unlike the JP Discovery Center, Thunder Falls isn't open all year, and can be easily cleared for more space and freedom to build houses. 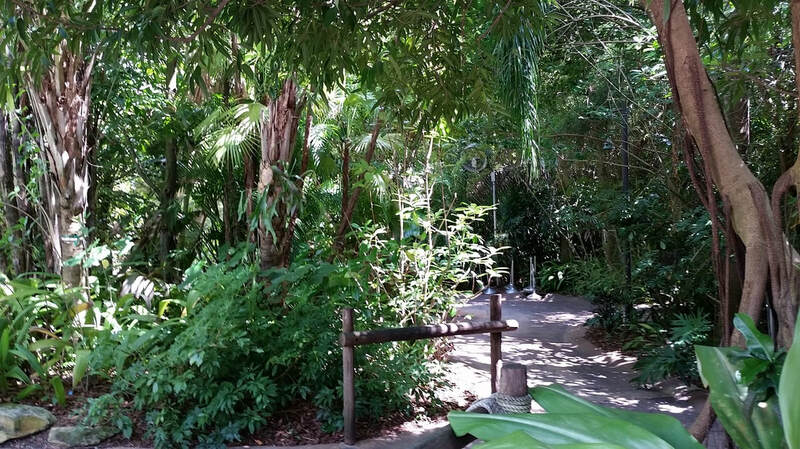 The entirety of the Triceratops Discovery trail is now long abandoned. 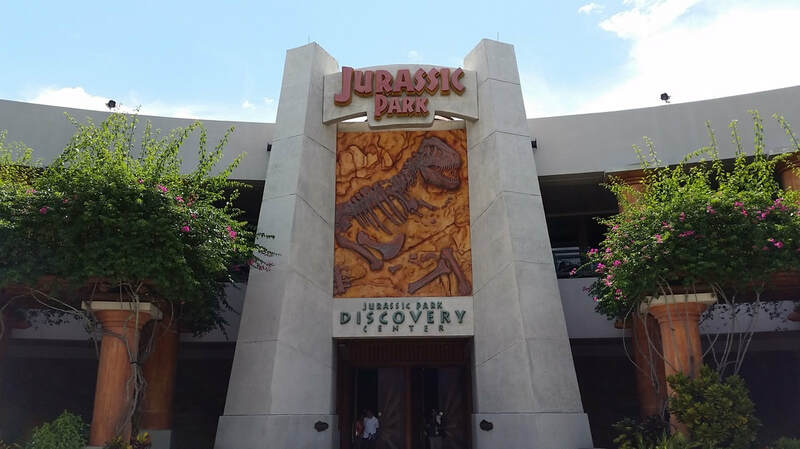 However, the former entrance to the attraction, is now home to the Raptor Encounter. The location did offer a unique spin for HHN houses. Most of them were outside, with occasional small buildings scattered about. The attraction offered another unique take for a house at HHN. It even utilized the show's famous water vortex as part of the house.